Who needs to be in better shape than a professional boxer? Who better to help a woman of any age get into her finest possible physical condition and stay there than WBC Welterweight Champion Mia St. John? With The Knockout Workout, Mia helps you master the exercises and workouts that keep boxers and martial arts experts fit and trim. With clear, step-by-step instructions she shows you how to punch and kick your way to a level of fitness you never thought possible. Don't try to slim down with quick fixes or bulk up with heavy weights. 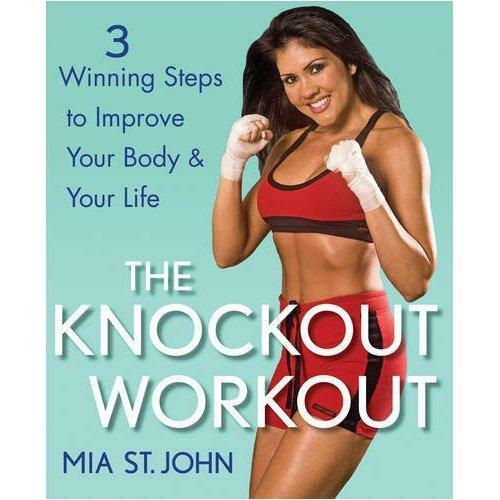 Mia will show you a simple three-step program you can find in her book, "The Knockout Workout", or schedule your very own private training today! Private and group classes available. Call or email for pricing in LA and Riverside County.